Toronto Sun — Derozan will not play in tonight’s game against the Charlotte Hornets and according to reports, he is not in any pain but simply want to shake the rust off before he returns to the line-up. “ill be back in the line-up sometime next week, I havent had any setbacks, I haven’t had any soreness. Everything feels good, Im not in any pain. 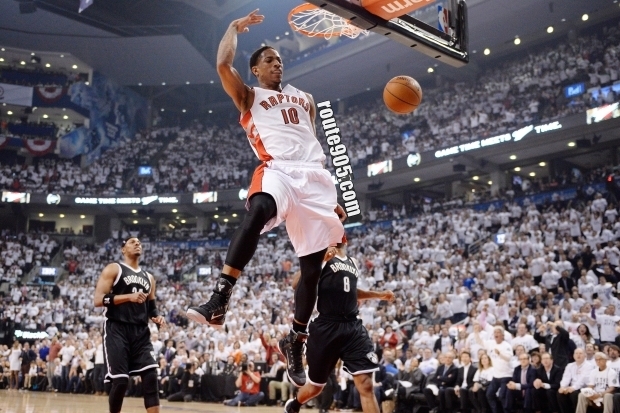 This entry was posted in NBA, Raptors News, sports and tagged demar derozan, NBA, raptors, toronto, toronto raptors, toronto sun. Bookmark the permalink.